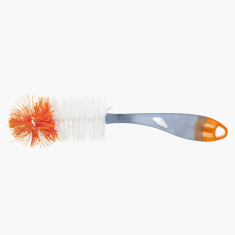 Tigex 2-in-1 Bottle Brush | Multicolour | Soft and light weight. 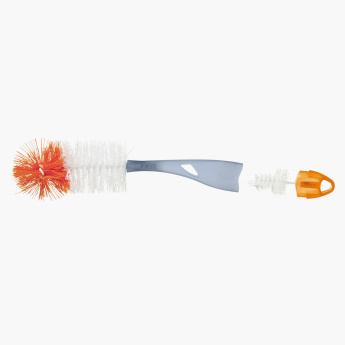 Grab this unique bottle brush to clean a long slender feeding bottle right till the bottom. The loop at the end of the handle can be used to hang the brush when not in use. Feature 1 : Soft and light weight. Feature 3 : Long enough to clean the bottom of the narrow bottles.